Parties for the younger age group! 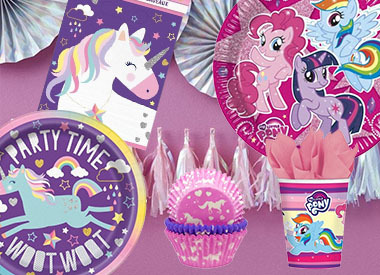 See our great range of girls party themes to ensure those girls have loads of fun! Party themes for teens and adults! 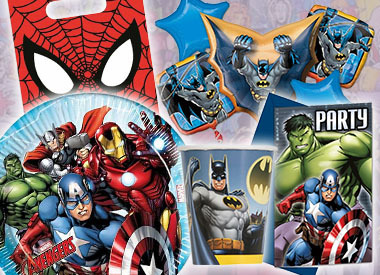 Full range of kids party bag fillers! 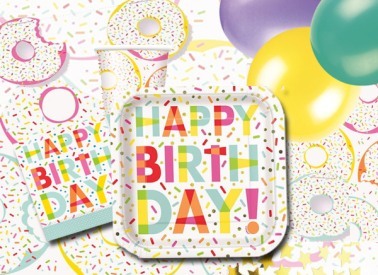 A great Range of Balloons for all party occasions! When it comes to party supplies, we have it covered! Great New Party Ranges like LOL! Surprise, The Incredibles 2, Jurassic World Fallen Kingdom, Llama, Gaming and more! Call 01903-724535 or e-mail info@partybagsandsupplies.co.uk with any queries! 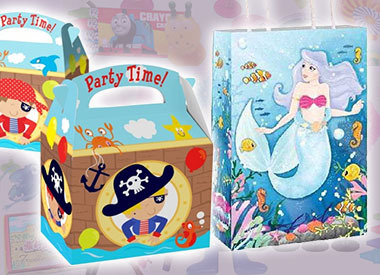 Organising and hosting a party needn’t be hard work when you order from Party Bags and Supplies. 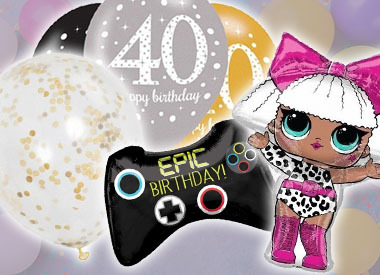 Party Supplies, Accessories and More! 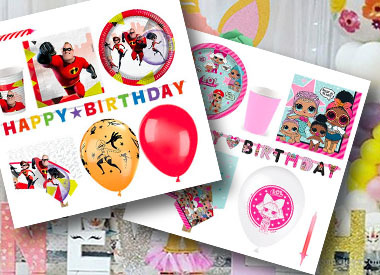 From balloons to party bag gifts, choose from our growing range of party supplies and accessories to create an amazing backdrop to parties for children and for adults. 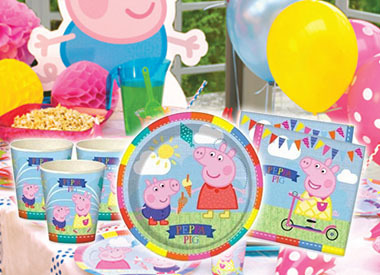 Why not theme your party by choosing from one of our many popular ranges? From themed invites to creating a stunning themed party backdrop, choose from a wide range of themed and complimenting items. Or create your own stunning party backdrop by mixing and matching tableware and venue decorations from across our range. For super-easy party planning, we have created party kits. Brilliantly priced, everything you could possibly need is in one box. Choose from party tableware kits to deluxe party kits, confident you have the best quality items at the best possible price. And even better, we have pre-filled party bags too, making organising your party a cinch! Great products, Great Prices and FREE Delivery on orders over £50! 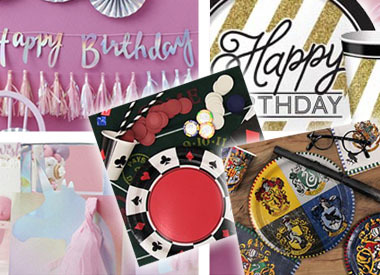 Parties aren’t expensive when you buy from us because not only do we offer one of the biggest party accessories ranges, we won’t be beaten on price. Standard Uk Delivery is FREE on orders over £50. 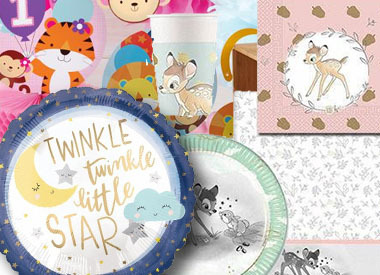 Browse our party range online, add items to basket and buy now – and then sit back and await delivery. Planning your party really is as simple as that!